Paytm Tide Offer , Coupon : Checkout Method to Redeem Paytm Tide Surf offer Promo Code through https://www.paytm.com/tide Url. Here we shares Every thing About this offer If you are tide user then you will get Rs. 30 Cashback on every 1kg Surf Plus Detergent Pack. Recently Tide Popular Surf Company Tie up with Paytm where user who will buy 1kg Tide Surf pack then they will get Rs. 30 add Money code of Paytm which they can use to add Money in their Paytm Account by visiting paytm.com/tide Url. 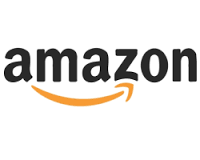 You can avail up to Rs. 90 Paytm Cash from this Paytm Tide Surf offer Because in One account You can Redeem 3 Paytm Tide Codes. If you have more Account then You can loot More free Cash From Offer. Let’s Come How to Save money on Tide Surf pack. Visit Nearest Mole/General Store/Kirana Store. Now purchase 1kg Tide Surf pack . 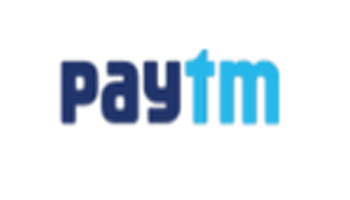 Make Sure You are Purchasing Products Mentioned Paytm Banner. Now You will get Coupon code inside the pack. Now Open Paytm Tide Offer Url Page. Now Load Rs. 30 & Apply Tide Code. Your Money will be added in your account Instantly. Now you can use this Free cash on any paytm Services Like Movies , Mall App , Flight Booking etc. If you are thinking to Recharge then Check our latest Paytm Promo codes to Get More Cashback on this Free Money. Products also available without Paytm offer. Offer valid only on 1kg Tide pack. You can redeem 3 codes per account. You will get Rs. 30 Add money Code in 1 Pack. Promo code will be valid once only which non Returnable & Cash able. Use code before 15th Sep 2017. Discussion on "Paytm Tide Surf Offer : Free Rs. 30 Paytm Money on 1kg Plus Pack"
No its Real , Enter exact code if not working then Try again on Different Account or Contact paytm Support Team. Products also available without offer , Buy from Moles or big Shops where you will get Updated Products.